This page is dedicated to Donut Gang members who have passed away. We have issued a number to each member as they become apart of the Gang. The number "1" has been reserved for these past Donuts. Gene was the original founder of "The Donut Gang". He passed away peacefully after a two year battle with cancer. Gene is survived by his wife Mary Joe, two daughters and thirteen grandchildren. His hobbies included surfing, cooking, computers, the USC Trojans, the Texas Longhorns, and of course - classic cars. 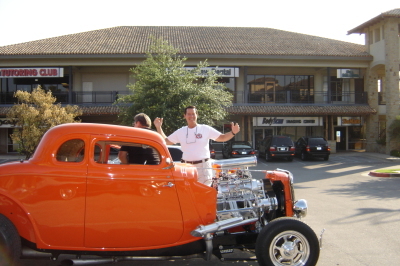 Gene had a GREAT idea for a classic car club - one where there were no rules, no formal meetings, no dues, just GREAT friends getting together to share our common interest -- classic cars and hot rods ! We are all very proud to be a part of Gene's "Donut Gang of Austin". David passed away suddenly as a result of complications from his recently discovered luekemia. David is survived by Angela, his wife of 46 years (childhood sweet hearts), daughter Heidi, son-in-law Reb and many many wonderful grandchildren and other family members. David was the founder and owner of Monarch Transmissions - which he had retired from and sold about a year prior to his death. David was a VERY involved member of The Donut Gang -- attending most weekly bench racing sessions, garage crawls, rod runs, car shows, parties, etc. We are all much richer for having known David. His smile and laughter will live in the hearts and minds of all who knew him. We miss him a lot. "I came in from working in my yard for most of the afternoon... clicked on the computer... and then read this VERY SAD NEWS. I opened Richard's next email - the one with the picture of HOT ROD standing by his famous "tire spinning" Hot Rod - and just sat there for a few minutes to try to take in this news. I thought about how much fun HOT ROD seemed to have burning up all that rubber... his obsession to become "12 second Larry"... his very nice DONUT GANG WARDROBE... one of our founding fathers and first host for the DG poker game... and very active in "the Gang." Larry was "for sure" one of the great characters that helped shape the DONUT GANG and make it fun. We are really going to miss him ! 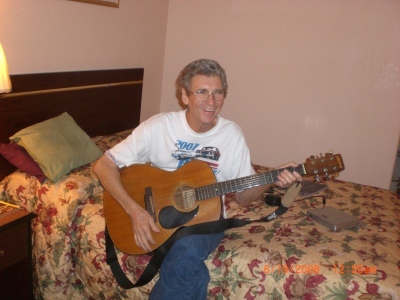 Warren Matney passed away on November 30, 2014. He was 87 years young and a “hot rodder” to the end. 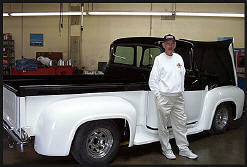 He was an inspiration to others who owned and worked on classic cars. 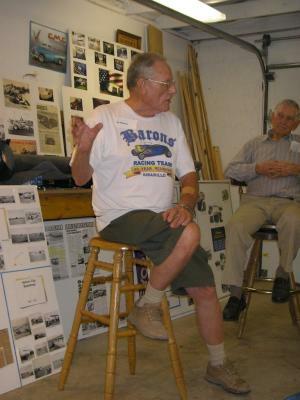 He loved working on restoring and modifying cars. 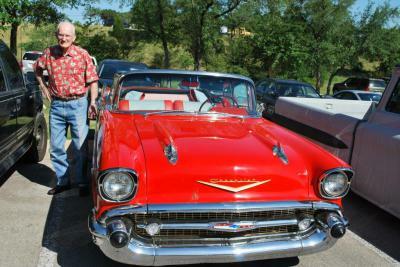 He was always egear to help others and provide his knowledge, especially on 1957 Chevrolets. He was the senior member of the Donut Gang of Austin. Warren was active by participating in weekly Donut Gang breakfast meetings at Maudie's and Jim’s restaurants. You could find him in his working garage just about any day of the week. Jim passed away suddenly while on a trip to Germany with his wife Phyllis, where they were going to honor Jim’s father, who was shot down in a B-24 during WWII. Besides Phyllis, Jim is survived by his son Pat. Jim was known for his big smile, his full head of snow white hair, his big heart and his love of travel, particularly the Caribbean. After careers in many kinds of sales including pizza, luxury boats and auto parts he teamed with fellow Donut Gang Member Richard Haas, and opened “Street Rods Forever” where they did sales (mostly consignment) and service on all kinds of Hot Rods, with customers all through the U.S.A. Anyone who knew Jim will testify that, along with wife Phyllis, there were no more fun loving and adventurous people anywhere. The “Mayor” will be missed by all who knew him (and that includes just about everyone), especially his pals in The Donut Gang car club where Jim was an early member. God bless you Jim. Joe Williams was perhaps the best fan club that the Donut Gang ever had! At Goodguys, sometime around 2003, Joe happen to pull up to our Donut Gang “Camp” in his “BBC” ’32 Ford Hiboy Roadster during the Goodguys show and asked if he might park next to our pop-ups. We welcomed him and ever since he has been a close friend of the Donut Gang. In 2004 and 2005, Joe invited us to attend BBQs at his and LaRue’s home during the Goodguys event. Joe was a true hot rodder in that his enthusiasm for the hobby goes back to the fifties (or earlier) when he started drag racing in the original NHRA sanctioned (and many non-sanctioned) Drags! We have found he and his buddy Jack’s cars pictured in some of the original shots taken in the very beginning of NHRA in the Oklahoma Nationals, etc. The cars that Joe owned during our association with him were a blue 1932 scalloped Roadster Hi-boy powered by a 454 Big Block Chevy, a red ’32 Ford Roadster Convertible, and a 1947 Mercury Sedan. RIP Joe.